Zoe Herishen's skateboarding skills earned her the respect of the boys at the park. Ocean City’s Skate Park has come of age. 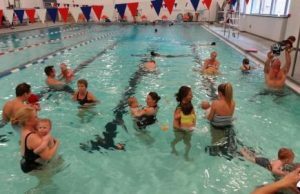 The facility on Asbury Avenue between 6th and 5th streets is no longer new, no longer a novelty. 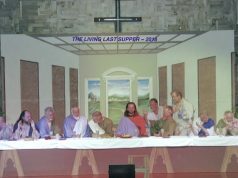 It is the established local home of a community of people, and a very successful one at that. It is a community grateful for the park, one that takes pride in it and one that gives back to its own and to Ocean City. During most hours it is open, from 9 a.m. to dusk on rain and snow-free days, regardless of season or temperature, some from the dedicated band of skateboarding enthusiasts can be found using the park, rated one of the best on the entire East Coast. On weekends, warmer days and in the spring and summer, the skaters haven, which is free to use and open to all, is jumping with activity. On Tuesday, with patchy sunshine and temperatures hovering in the high 50s, about 15 to 20 skaters were taking advantage of a warmer February day, enjoying the facility and each other’s company and doing what skaters do: freestyle skate and work on their technique. Not too shabby for a facility that faced opposition when first proposed, and for a community that suffered in some circles, from a bad reputation. The crowd is mostly young and respectful, high schoolers down to skating toddlers, and predominantly male. However, there are always a few skating parents and others from the previous generation, and more girls all the time. 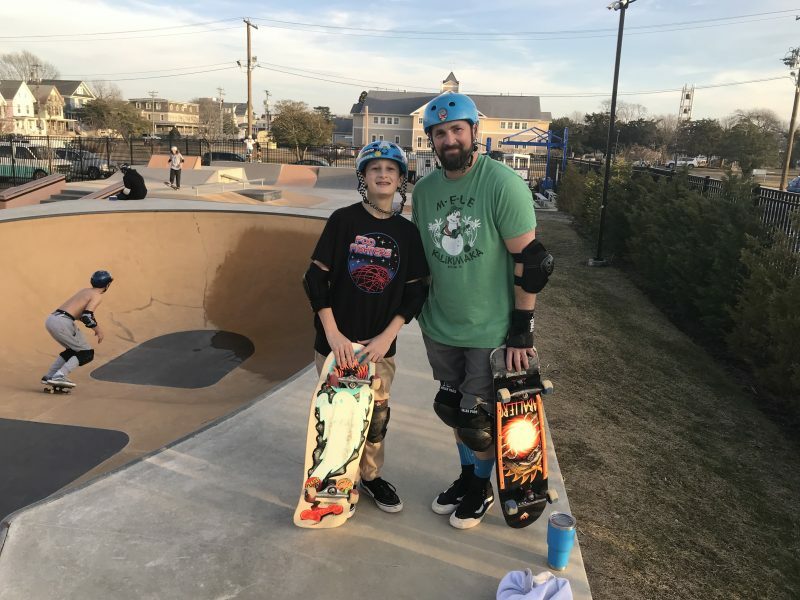 Kevin Hutchinson and his son, Zachary, of Ocean City, are typical representatives of the skate park’s family vibe. One park regular, 12-year-old Zoe Herishen, and another girl were on the scene when OCNJDaily.com visited. It’s not enough for Zoe to be a trailblazer for girls at the park. 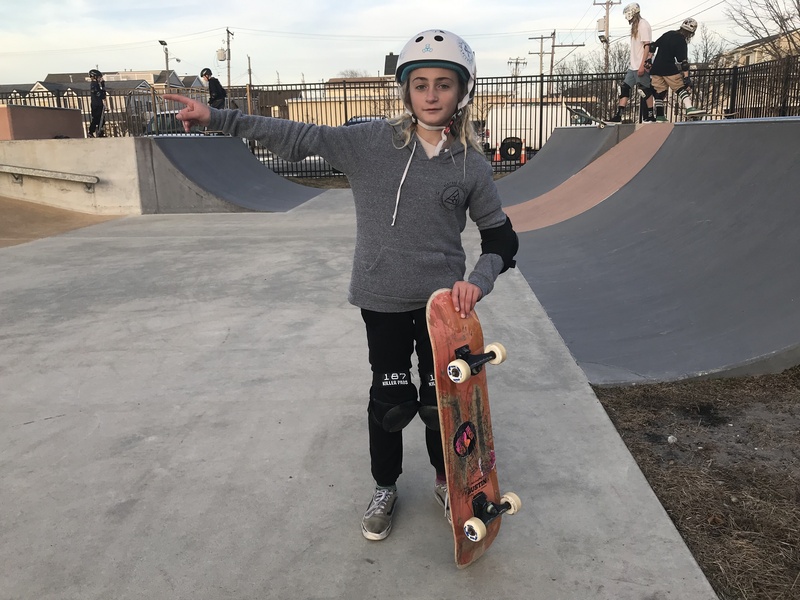 For the past three years in May, she organized a girls’ skating event she calls “Chica de Mayo,” the first two in New York City and last year in Asbury Park. She hopes to work with Ocean City to host it this year, her mom Tracey said. Ocean City’s skate park is one of a kind. Google “family-friendly skate park” or similar terms, and no place else is likely to appear in the search results. 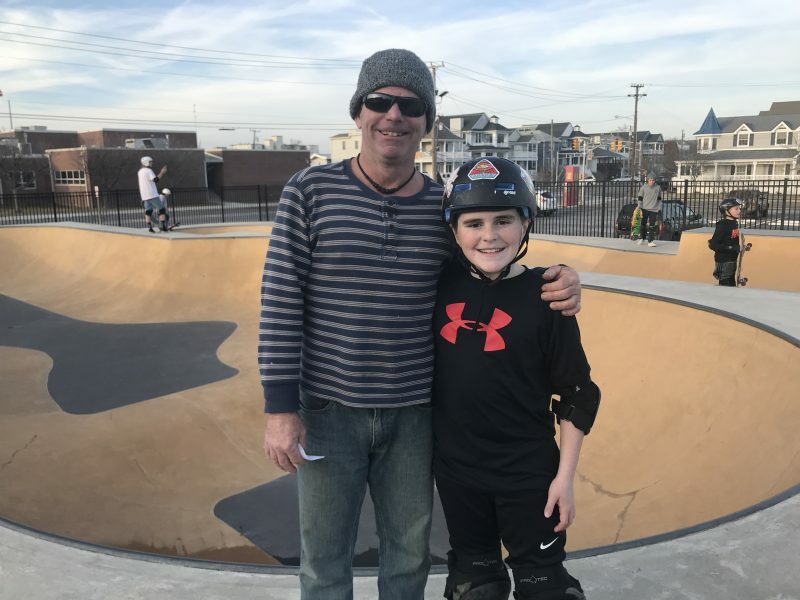 Willie Fannon, of Ocean City, is a local skater, surfer, entrepreneur and event planner, who grew up skateboarding and has seen the town’s progress in growing right along with the sport. “There is no other skate park anywhere, quite like the one we have in Ocean City,” Fannon said. “You can go to many other skate parks in very nice communities and you’re going to find nice facilities but along with it graffiti, bad language, smoking and drinking,” Fannon explained. 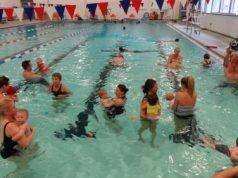 In 2014, the city applied for and received a $500,000 Cape May County Green Acres Recreation grant to finance the bulk of the cost of building the park. Ocean City earmarked the additional $250,000 required as part of its capital plan, in the form of a loan. Councilman Mike DeVlieger, whose First Ward constituency strongly backed the project, spearheaded a committee of local officials and skaters to advocate for the park and to collaborate on its design and rules. They hit a home run, coming up with a park that was rated near the very top of all East Coast skate parks, according to online ratings sites. Eventually, the rest of Ocean City would grow comfortable with the park. Parents, such as Lora Fenstermacher, love it. 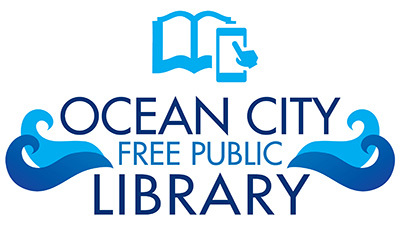 She was reading a book on Tuesday while her son, Michael, an Ocean City Primary School student, rolled smoothly across the park’s undulating concrete surfaces. The facility’s rules, strictly enforced by a paid city staffer at all times, are prominently displayed outside its gates. The posted rules stress safety first – helmets and pads must be worn – and also no food or smoking or littering, no foul or abusive language, and no bullying. 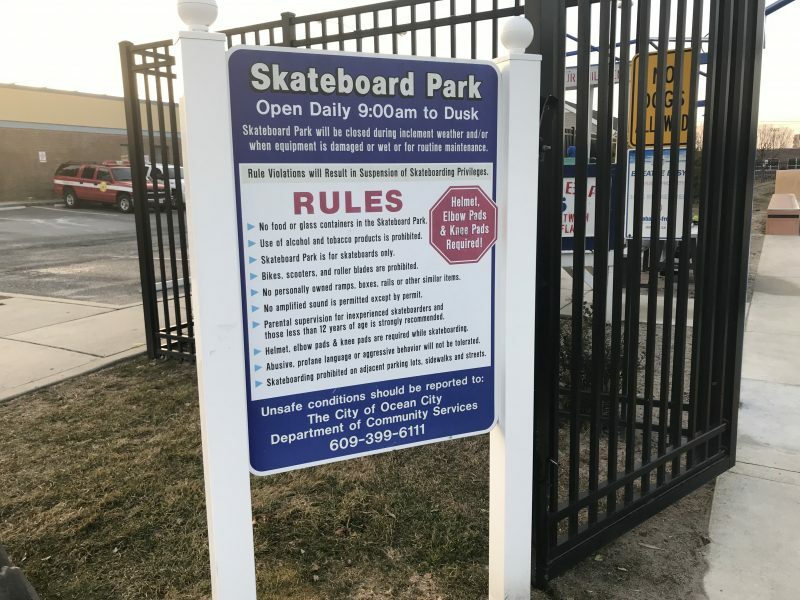 Because an on-site supervisor paid by the city is always on duty and enforcing the rules, some skaters would rather shed their pads and engage in banned activities. Those who choose this route do so at their own risk, and outside of the park’s boundaries. In building and maintaining the park, the city learned what works. It also listened to the skaters and their parents. Canopies were installed at the entrance gate and surrounding the seating area to provide shade. Beverage and candy machines were added, and portable toilets are placed at the park in the high-demand summer months. Also, special events, competitions and parties have been successfully held at the park. 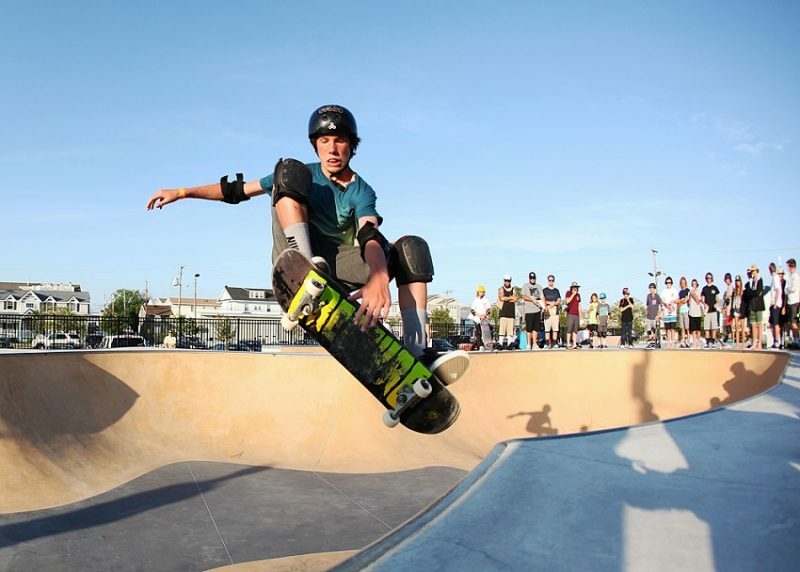 Kai Demarco, an Ocean City High School senior, formed a skate club at school and worked with Fannon to organize several competitions and charitable events. City officials also received kudos from Kai for their cooperation and support. “When we contact them (with ideas for events) they always do what they can to help us out,” he said. As with most growth processes, though, there were some accompanying pains. An earlier attempt at a skate park wasn’t the right fit. It was a relatively cheap park constructed of metal equipment and located in an isolated corner of a parking lot next to Wonderland Pier. The location was dark, off the beaten track and prone to break-ins and vandalism. Eventually it was dismantled and removed. It was also used as an example by opponents of the current park when it was initially proposed. Mayor Jay Gillian and City Council listened to both sides and committed to a new and more effective plan and a workable location. 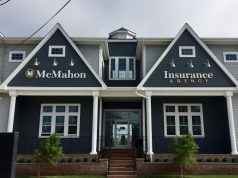 Over the vocal objections of some neighbors, the current spot was selected, replacing a trailer-like modular building that housed a Comcast cable customer service facility. Even the park opponents conceded that was an aesthetic upgrade. Now, three years since the park’s opening, the skaters have settled into their role in the community and continue to grow and nurture it. Linwood resident Adam Walcoff and his son, Jack, 13, prepare to take on the large bowl as Kai Demarco glides by at left. Attorney Adam Walcoff, of Linwood, who was skating Tuesday with his 13-year-old son, Jack, said his town was in the process of trying to build a similar park of its own. “This is a place where I am able to share experiences with my son doing a healthy activity we both enjoy,” said Walcoff, who has been driving across the 9th Street Causeway with Jack for the last year and a half. To some degree, the evolution of the skate park is being driven by changes in the sport itself. Skateboarding is now an official Olympic sport, and the underground aspect is yielding in part to a pull into the mainstream. When the first Olympic skateboarding gold medals are awarded at the 2020 Tokyo Olympics, there could be new faces of the sport, and new attitudes and respect. “When parents see that something can come out of their kids’ participation, when there are new opportunities to become a professional, then skating will be less of a hobby and more of an established sport,” Fannon said. In the meantime, the Ocean City Skate Park and its fans will just keep on rolling along. 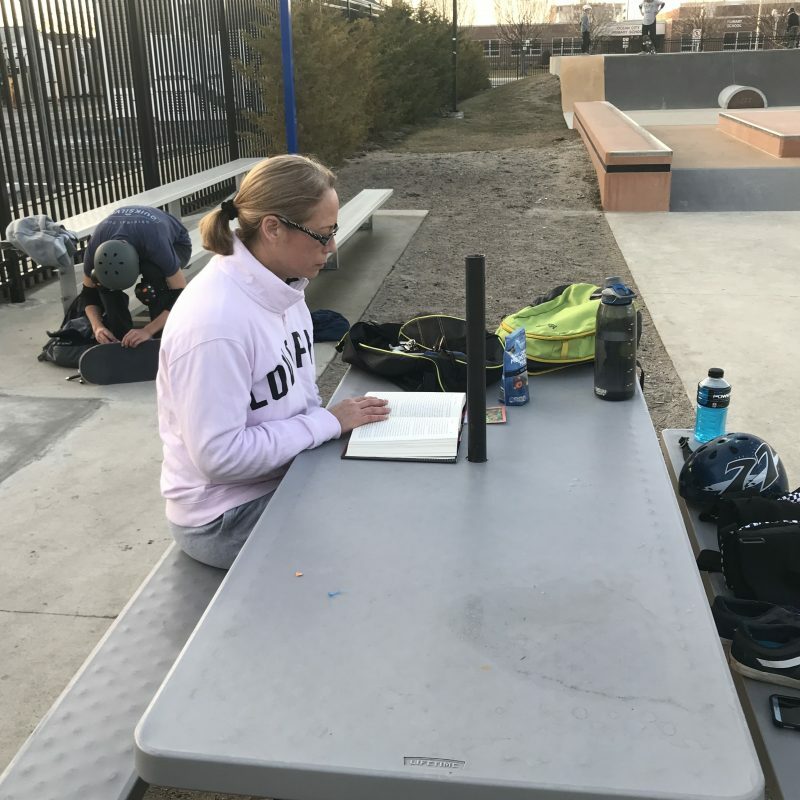 You might not think of a skate park as a place to catch up on your reading, but that didn’t stop skateboarding mom Lora Fenstermacher from enjoying her book.